This 4-Man Gladiator Joust comes with everything you need to get the fun started! 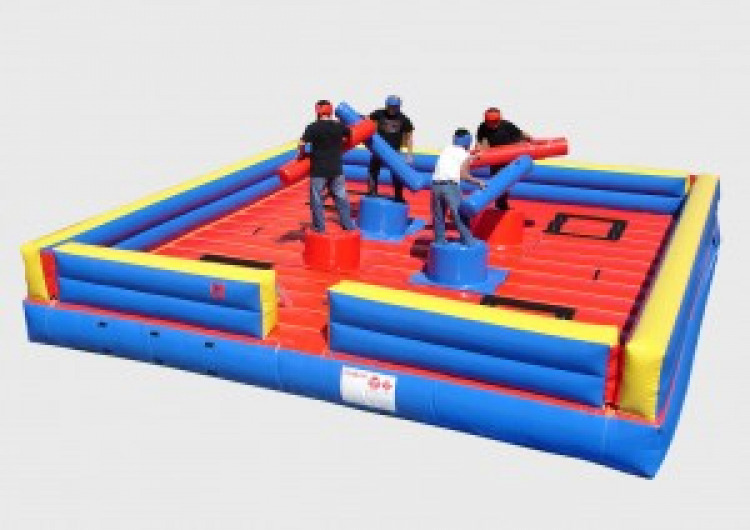 Two pedestals, head gear, and joust poles are included. Opponents will try to knock each other off the pedestal. Last man standing, WINS! This game will sparks healthy competition at your next event.